As we enter a new era of private jet travel, at Baroque Aviation we stay true to our stellar reputation for spectacular service, discretion, and delivering a world class experience. Fly around the world with Baroque Aviation. Searching for aircraft is a registered customers only feature. We are committed to working with partners who offer an unbridled experience and the highest safety standards in the industry. 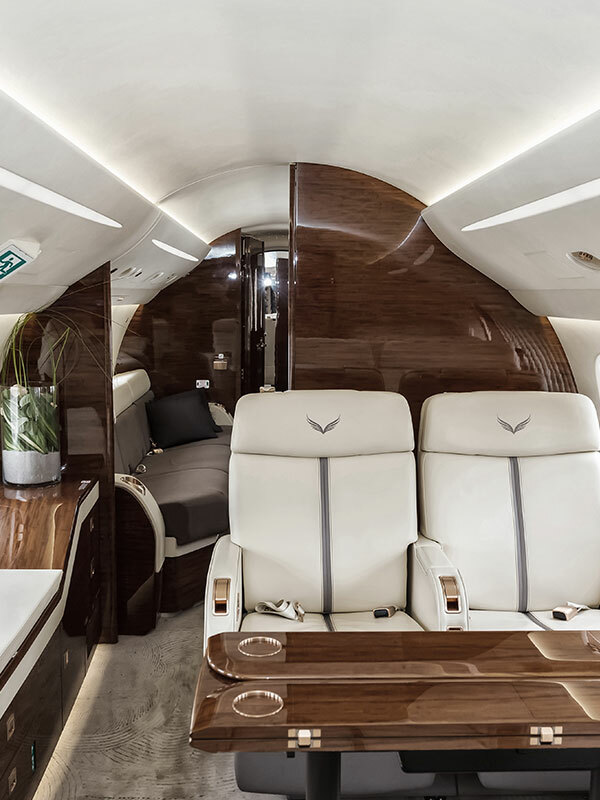 Whether traveling for business, pleasure or with the whole family – exquisite crafts, concierge service, and personalized schedules are just a few reasons to choose Baroque Aviation for your next adventure. We know that time is money and our business savvy clients require swift access to the finest jets. Family flying needs both a place for the children to sleep and space for parents to relax. Whether hopping from coast to coast or heading out on vacation, our aviation experts can tailor to your flying style. Along with being leaders in personalized service and offering a first-class fleet, we understand that time is of the essence to our clients. At Baroque Aviation we have carefully sought out the most advanced web technology so you can be on the perfect flight in just a few screen taps. From private jets to crossing oceans on a superyacht, visiting world class destinations, and investing in high-end real estate, the Baroque Group lays the foundations for a life well lived. For over a decade, under five refined entities we have been offering full service solutions for those interested in top-tier living- covering corporate, individual, and family lifestyle management needs. Your 24-7-365 go-to luxury concierge, Baroque Access is your efficient, effective expert, arranging exclusive dining reservations, event tickets and so much more. Baroque Properties offers exclusive luxury travel and leasing accommodation services for the most exquisite villas, apartments, and chalet homes worldwide. With strategic partners located throughout the world, Baroque Travel offers opportunities to dwell in the most magnificent vacation and travel destinations. More than a decade of expertise and resources guide your curated selection of yachts, providing our customers with sale, purchase, and charter experiences that exceed every expectation. Delve deep into the world of the wealthy with our carefully curated online journal. Baroque Lifestyle is your go-to guide of the moment – delivering a choice selection of the latest up to date luxury news, exquisite trends, and defining details from every compass point across the globe. Want to learn more about our preferred partners? Head over to a dedicated page for more details.